Diamond Details: Round brilliant cut white diamonds of F color, VS2 clarity and excellent cut and brilliance, weighing .25 carat total. Ring Style: Stackable eternity and antique style caviar beading and handmade etching. Measurements: Size 6.25 and 2.75mm wide. The ring can also be ordered to size and will take approximately 4-6 weeks to deliver. 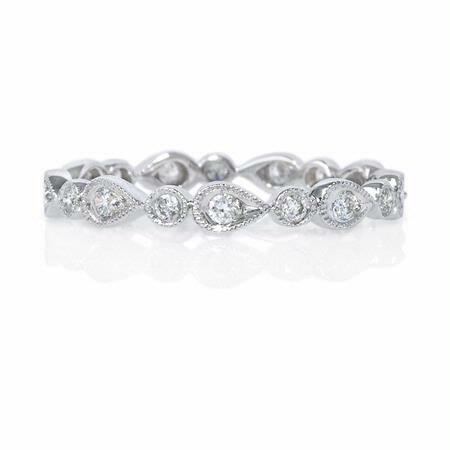 This stunning antique style 18k white gold eternity stackable ring, features round brilliant cut white diamonds of F color, VS2 clarity and excellent cut and brilliance, weighing .25 carat total. 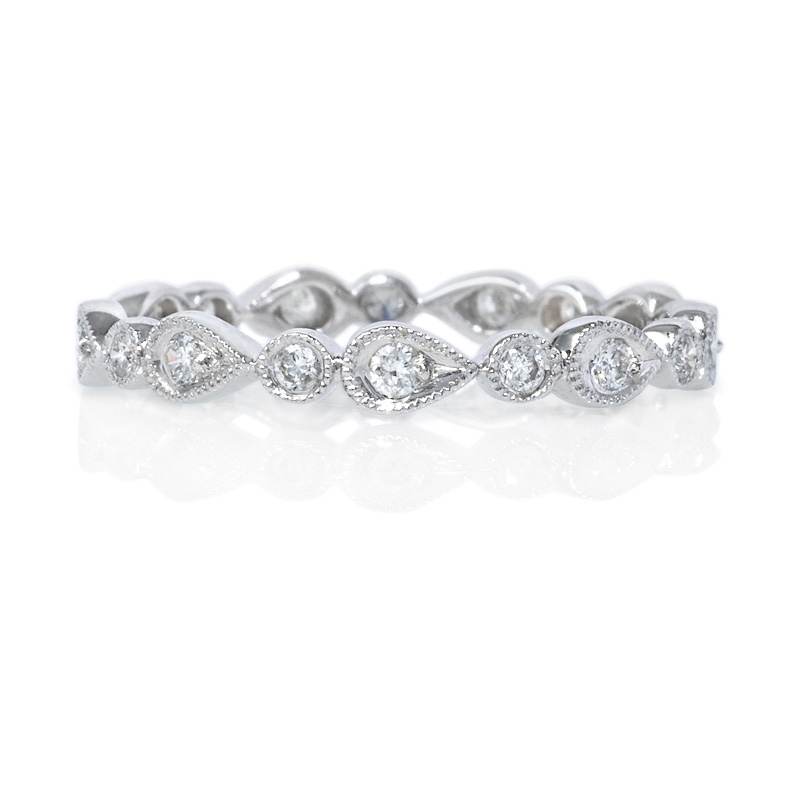 This diamond ring has caviar beading and handmade etching, creating an antique style effect. 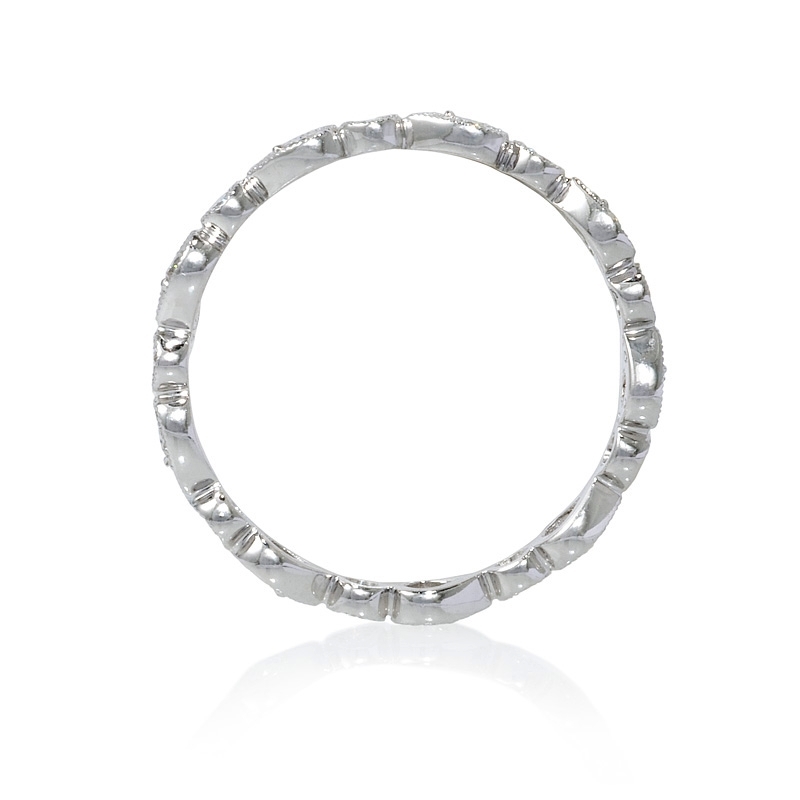 This ring is size 6.25 and 2.75mm wide.